Description Pinholes in corners. Appeared in the Oswego Review 8-21-1958. 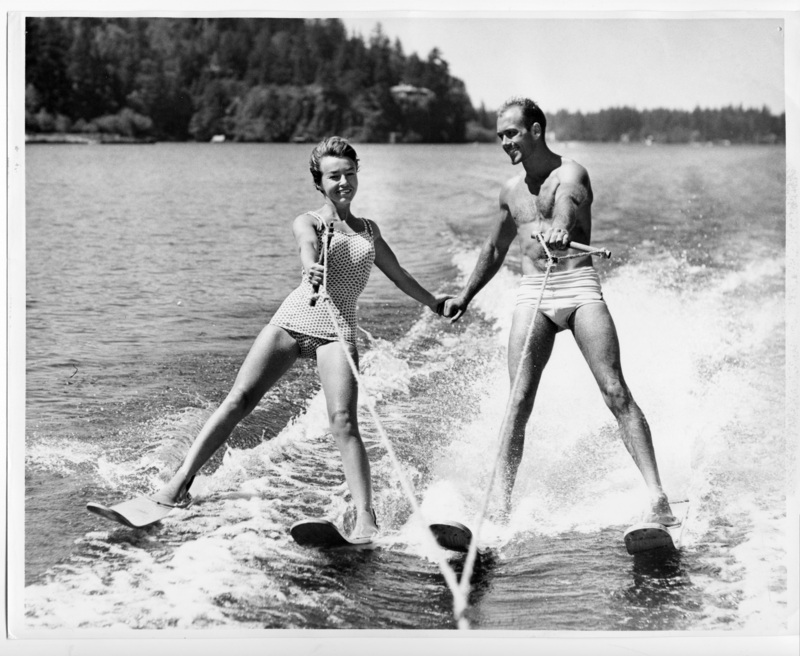 Caption reads: Diane and Don Nicholas are teamed as stars of the 1958 Oswego Water festival just as they were last year. Diane is the former Diane Spencer of Oswego and she met her husband while water sking.